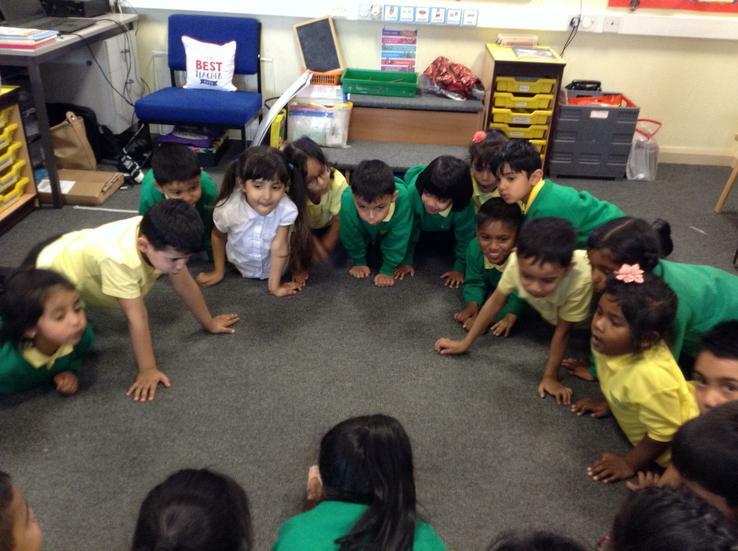 The children then listened to an alternative Three Little Pigs story. 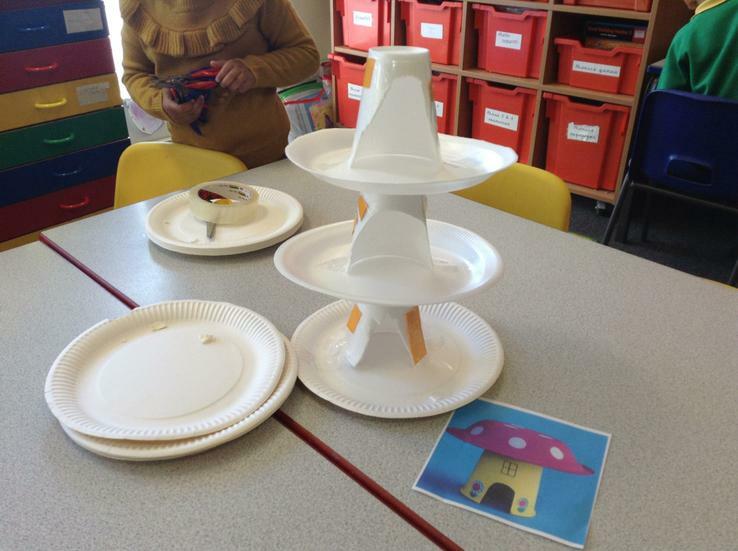 We collected the materials the Three Little Pigs used in their stories and tested them to find out which were the best to provide a waterproof house. 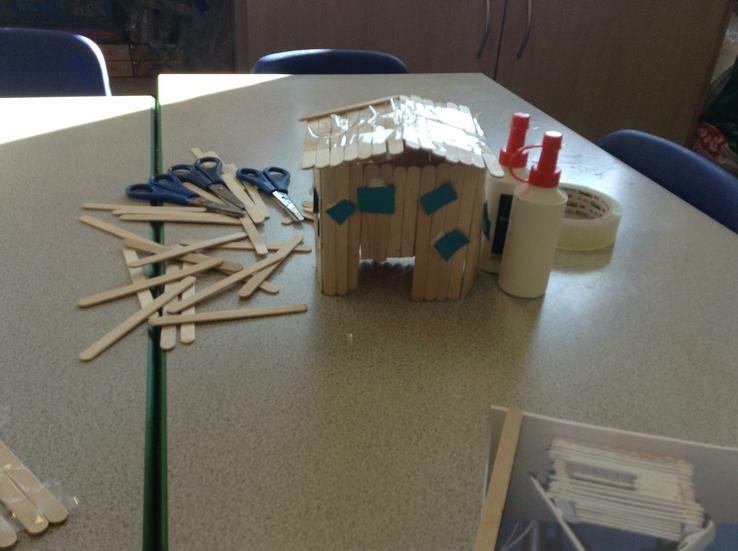 The children then created their houses for the Three Little Pigs. 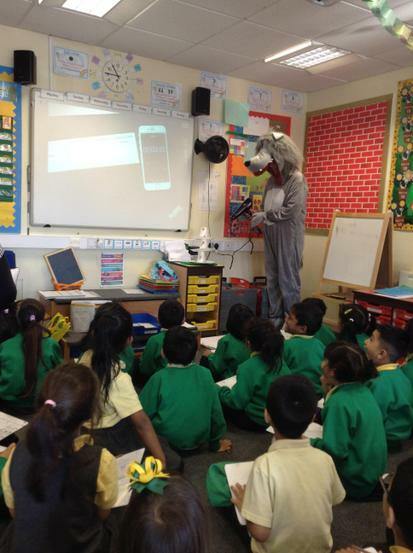 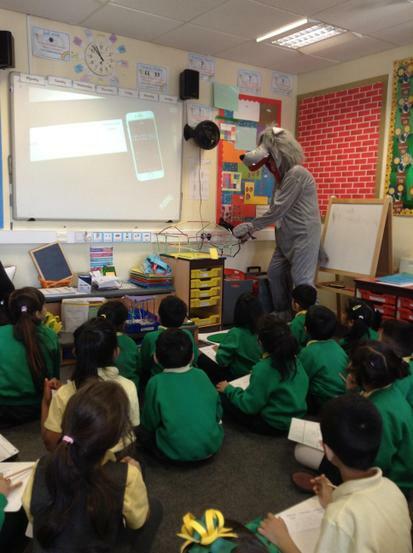 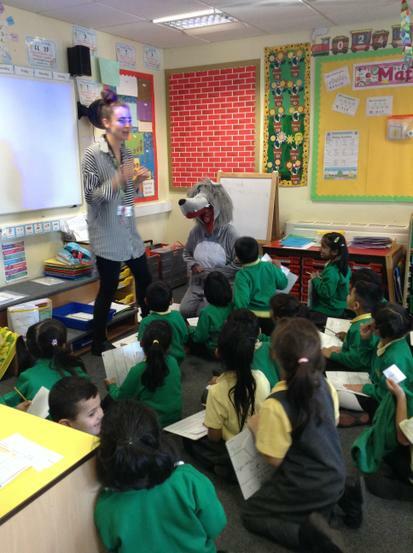 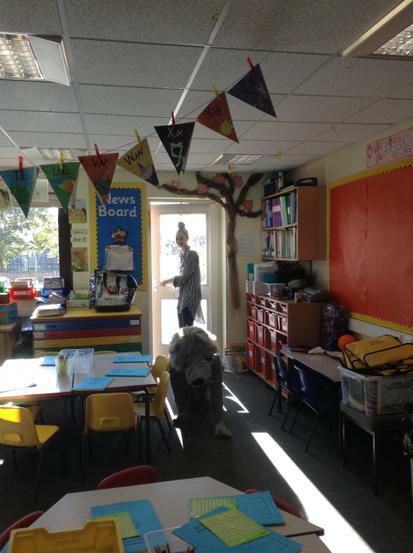 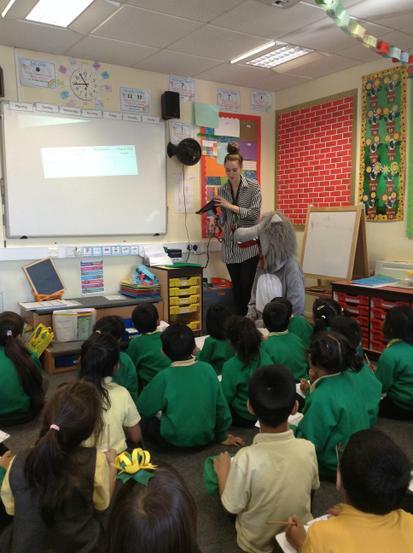 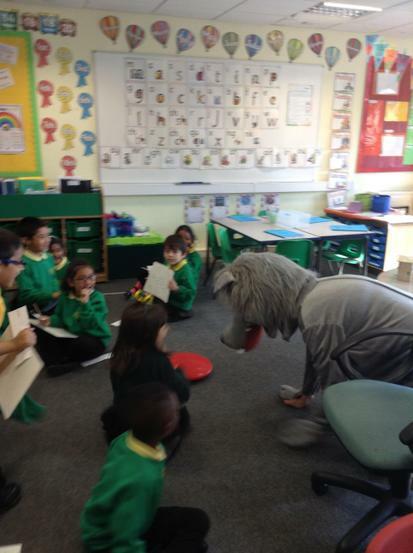 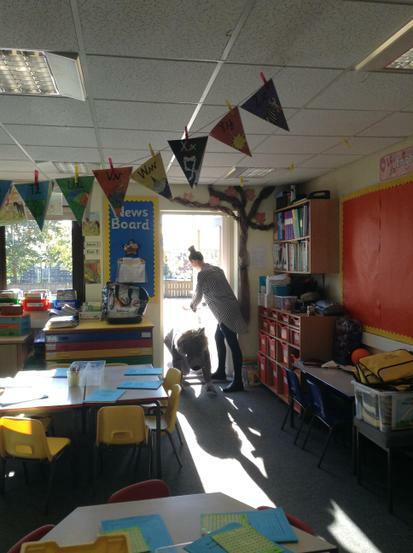 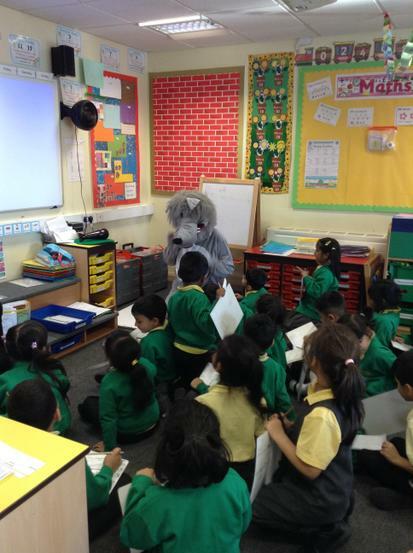 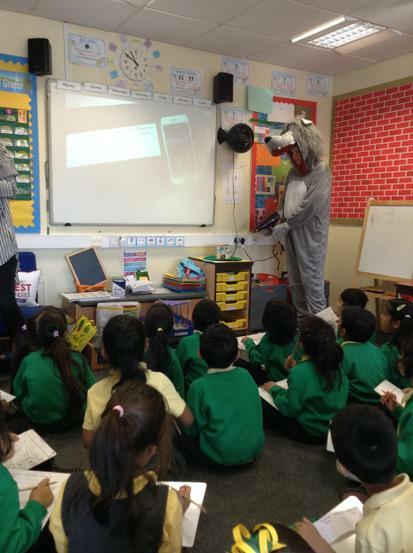 We had a visit from the Big Bad Wolf who tried to blow the houses down. 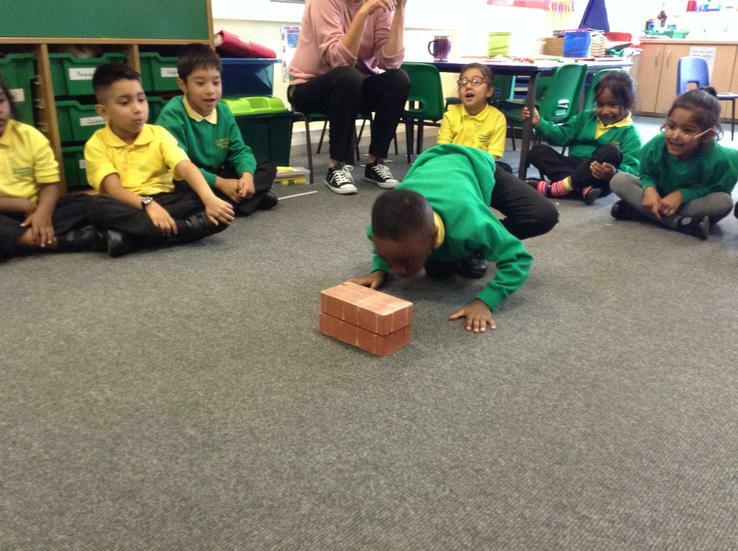 We tested to see which was the srtongest house. 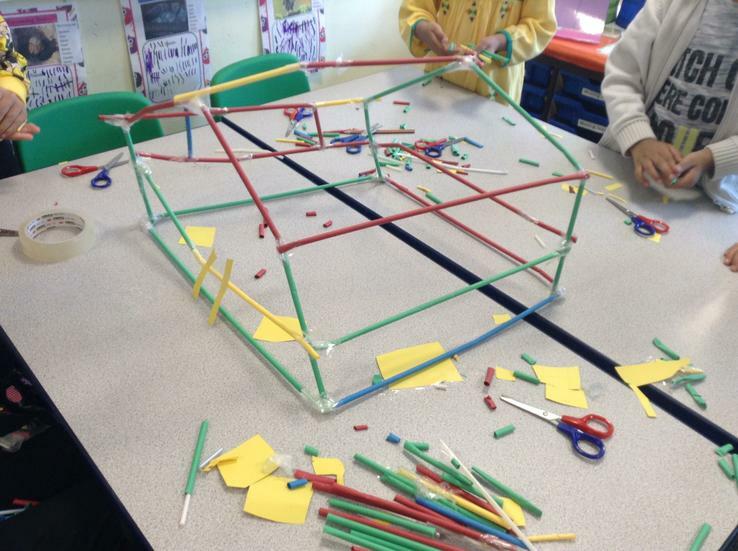 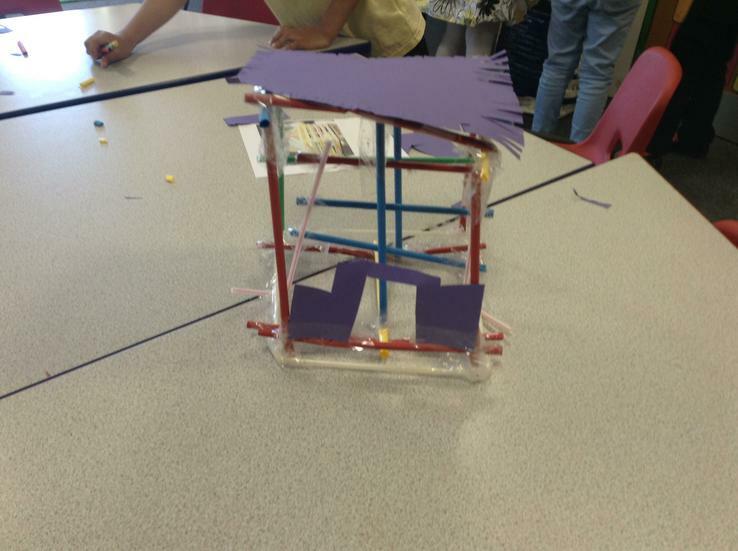 The children have been experimenting with different materials and have designed houses. 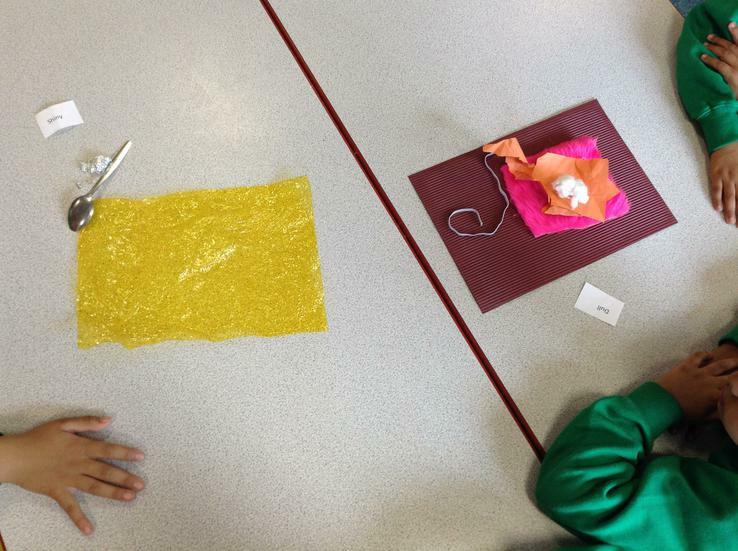 They have been choosing which materials they are going to use to create a house and will work as a team to make one. 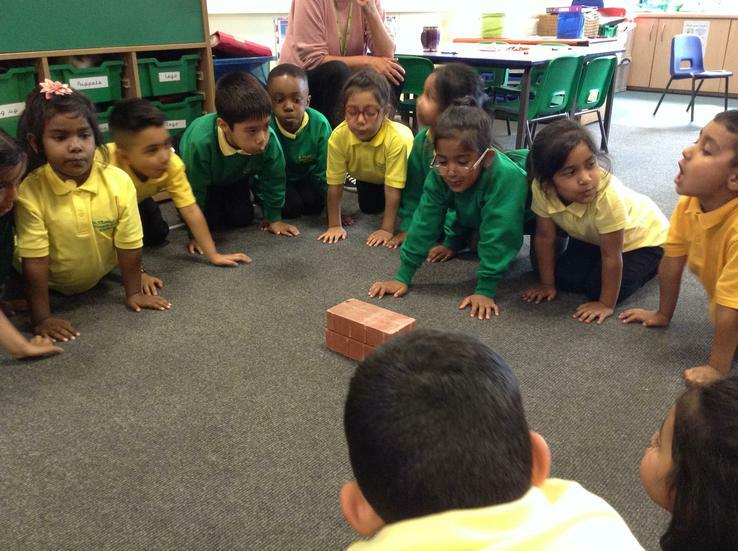 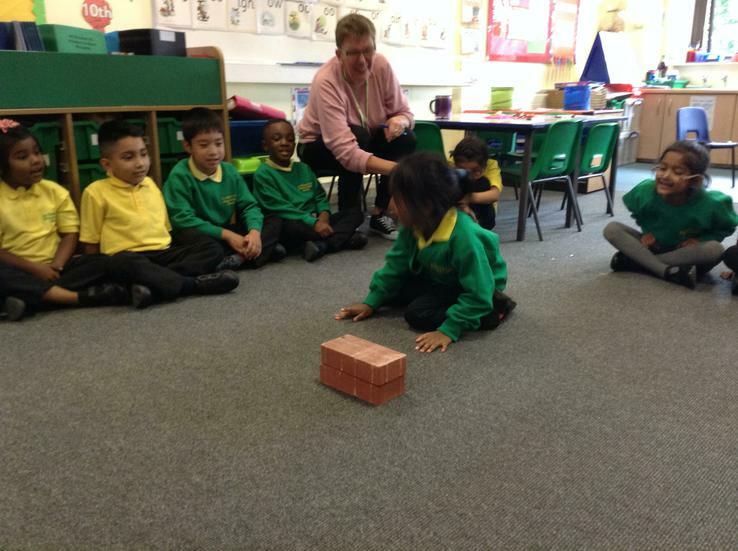 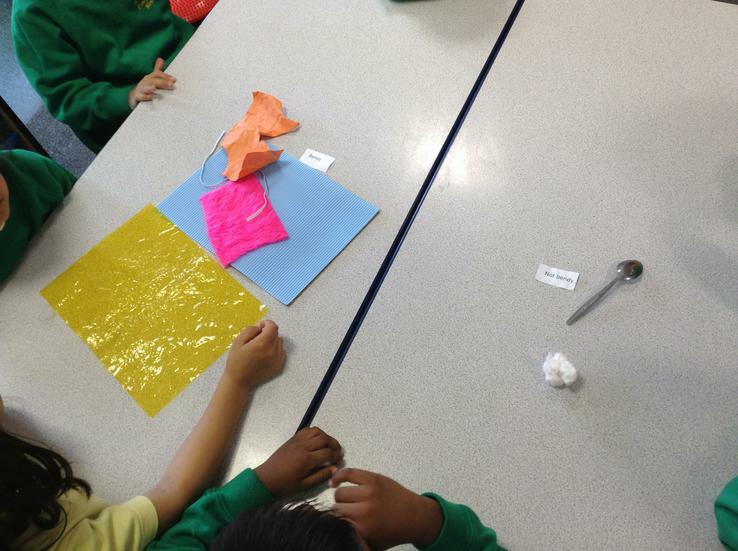 We then looked at materials and thought about ways to group them. 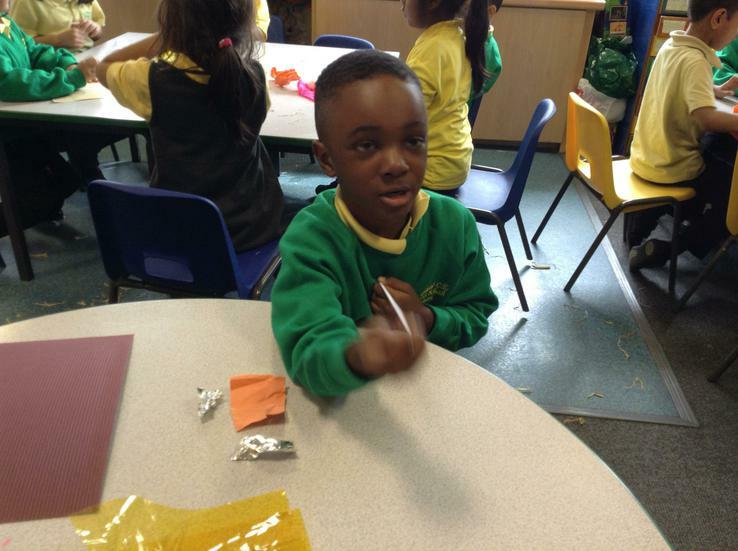 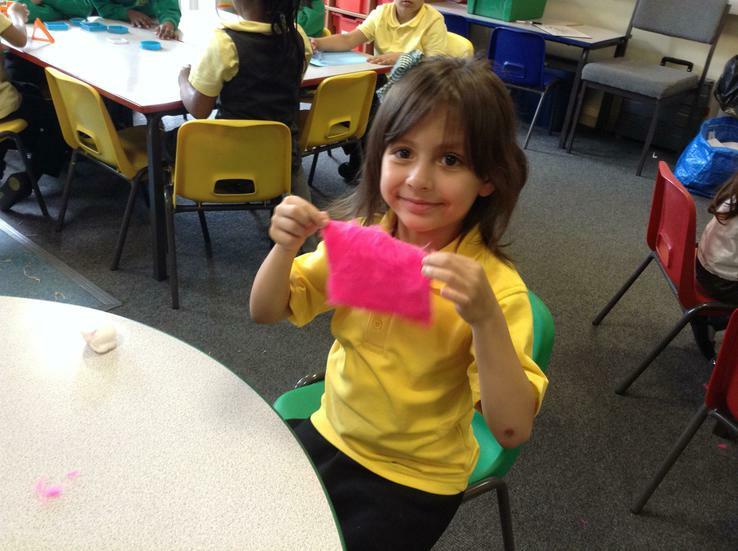 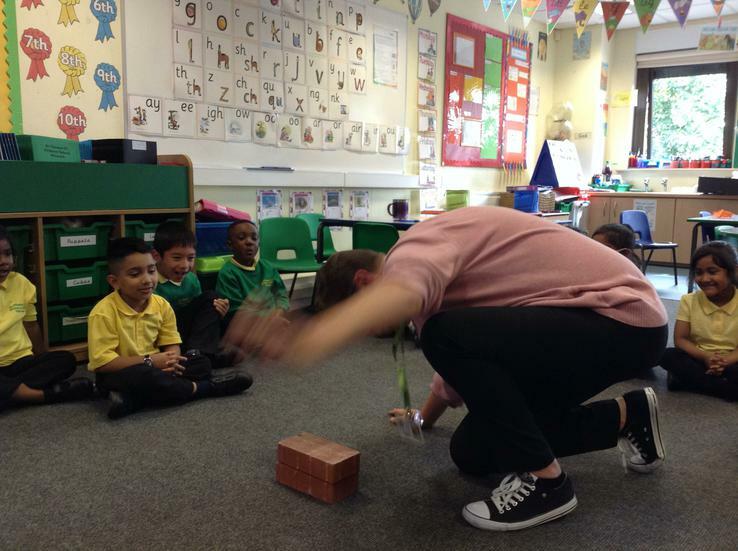 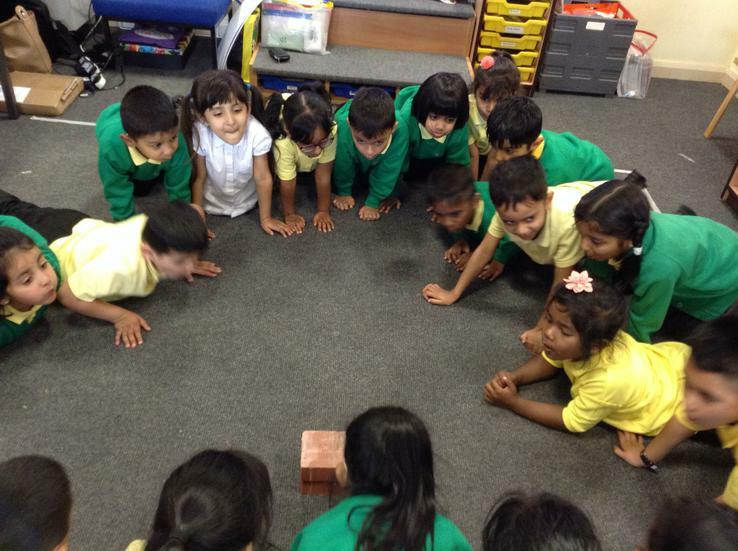 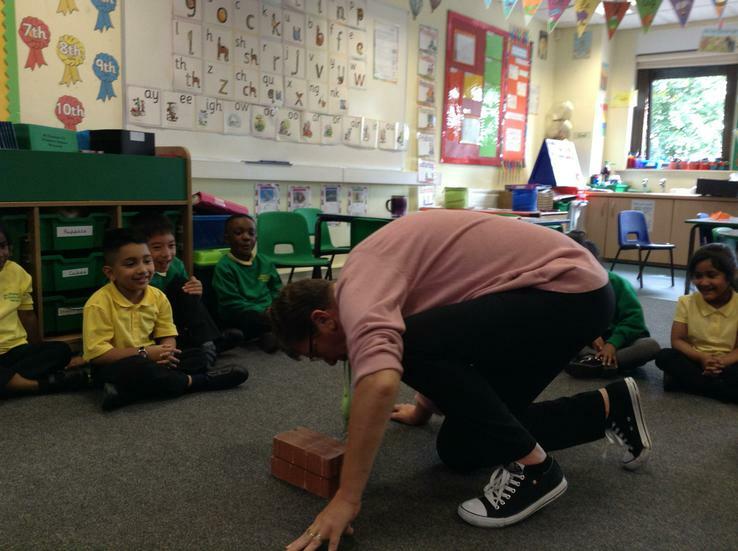 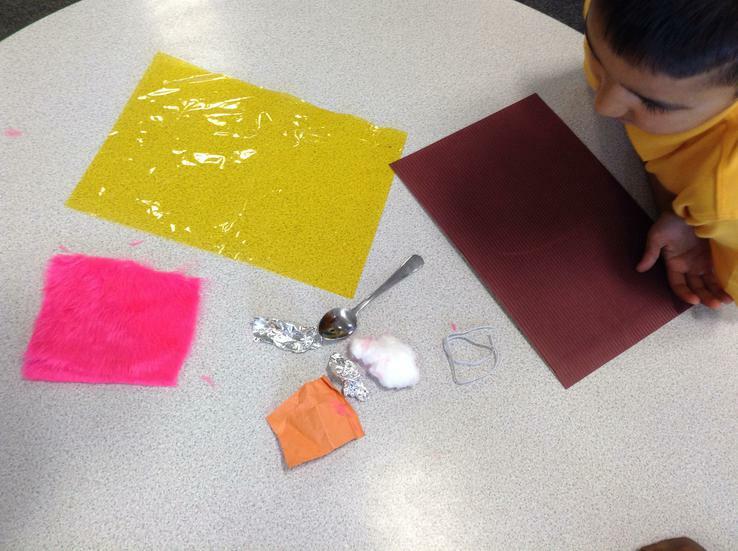 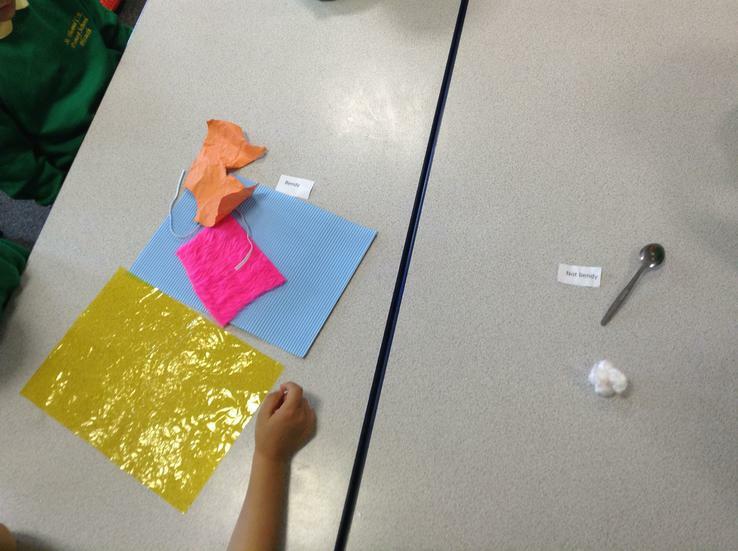 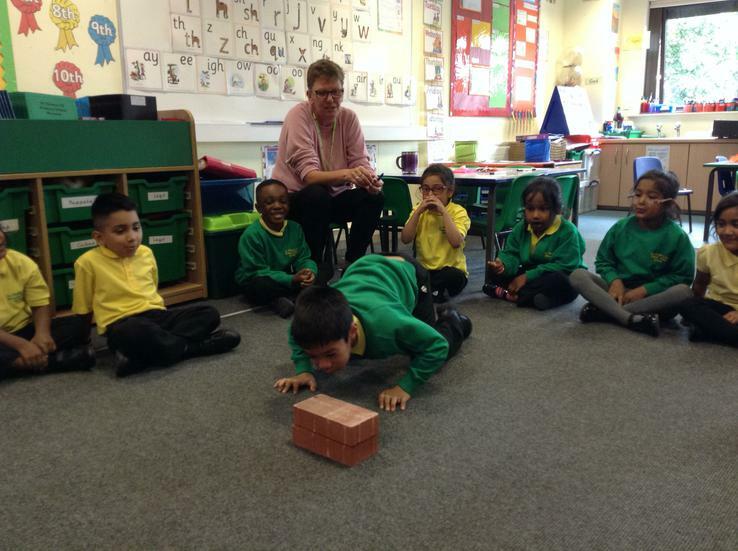 The children came up with ideas such as hard and soft, bendy and not bendy, rough and smooth and shiny and dull. 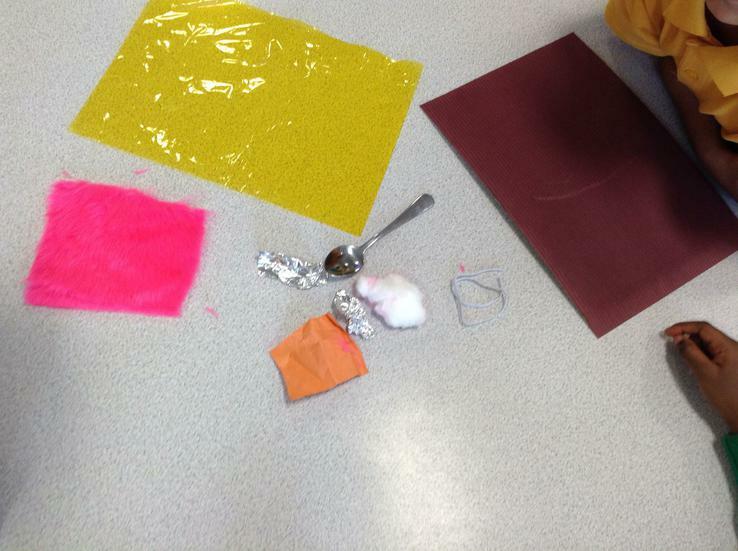 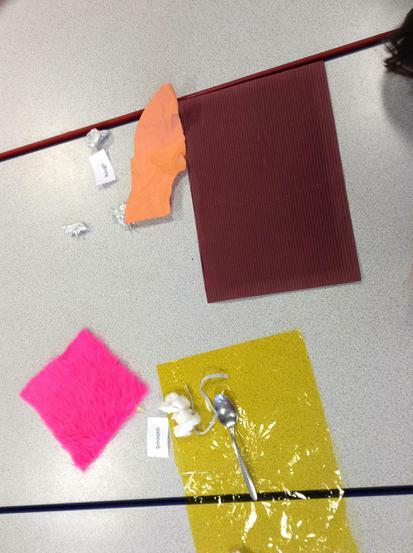 The then grouped the materials at their tables on their physical properties. 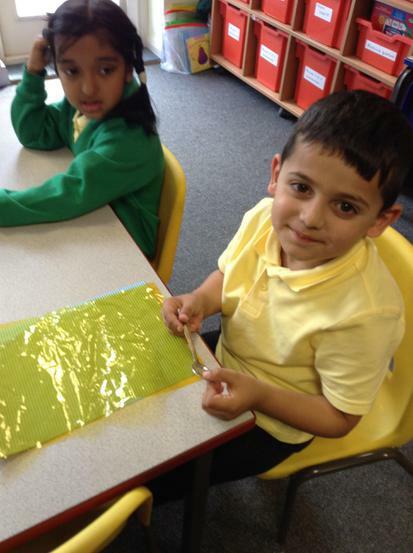 In science we are looking at materials. 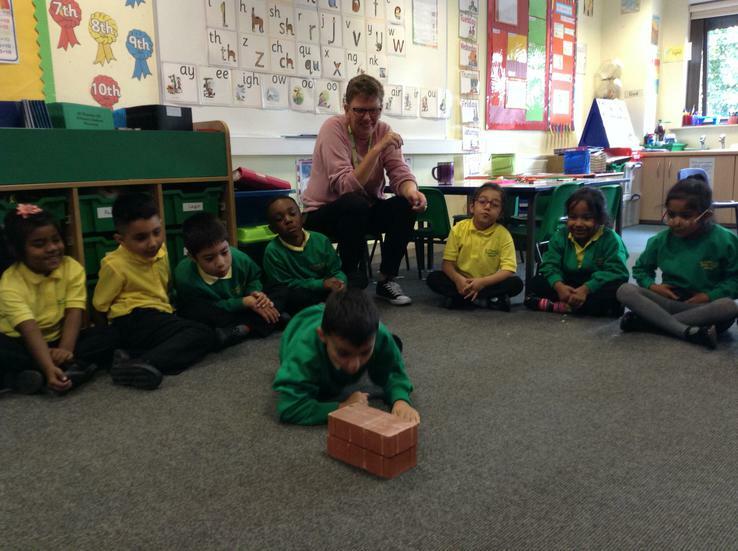 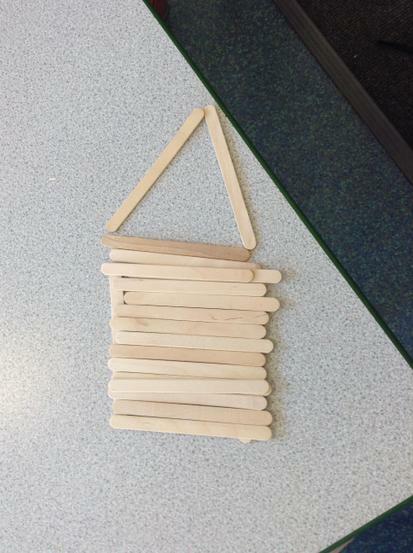 We read the story of the Three Little Pigs and looked at what they used to build their houses. 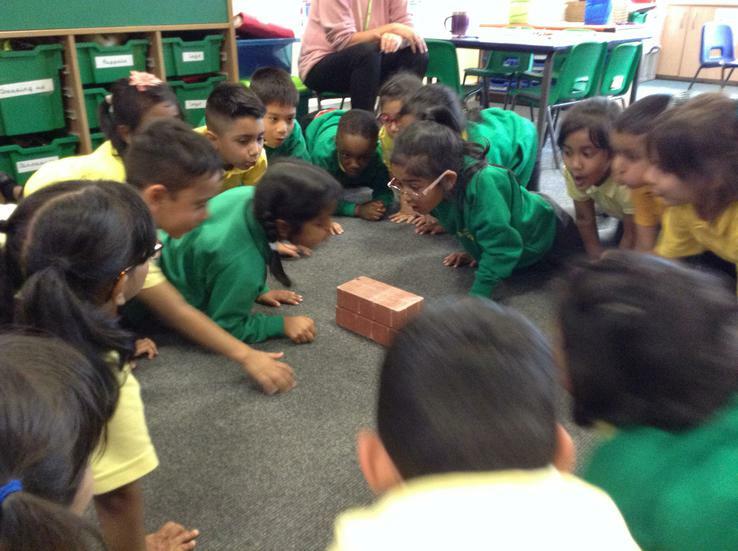 We discussed the physical properties of straw, sticks and bricks and discussed which was the best material for a house and why. 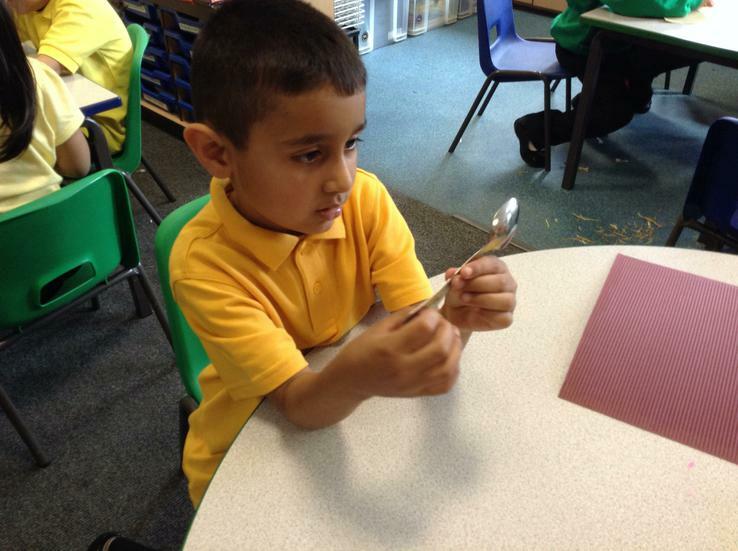 We then looked at different materials and their physical properties.